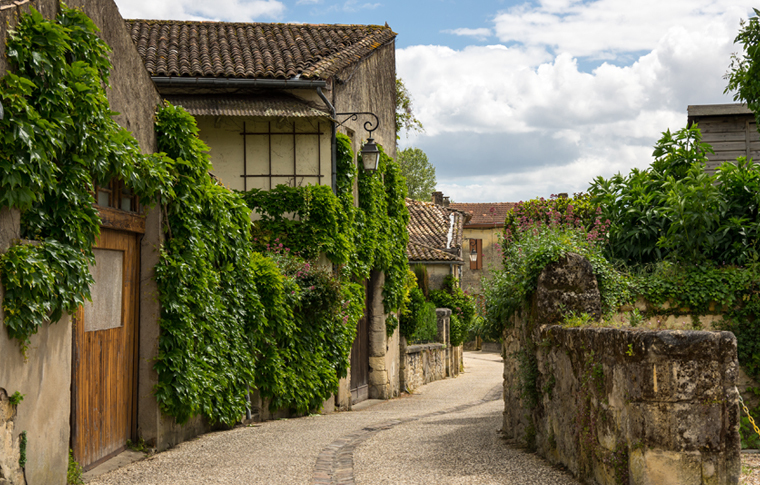 Saint Emilion is all the more charming because it is so different from all the other French medieval villages. Emilian, a Benedictine monk, was born in Brittany in the 8th century, to a modest family. The count who ruled the province chose him to be his financial steward, which turned out to be an unfortunate distinction in his life: Jealous rivals accused him of thievery to discredit him in the eyes of his master and confidant. After some turmoil, his path eventually led him to a forest where, captivated by the serenity of the area, he dug out a cave and dedicated his life to God. The hermit had performed so many miracles and done so much good around him that his name was given to the place where he had lived (after his death in 767) which became known as Saint Emilion. As you follow your guide on this private walking tour, you will also discover a very unusual place not to be missed: the underground monolithic Cathedral. 125 ft long, 66 ft wide and 36 ft high, all you can see from the exterior are a few windows on the one facade and the steeple, topped with a Gothic arrow 174 ft high. Benedictine monks were the inspiration for this church carved out of solid rock which is Europe’s largest monolithic cathedral! s you enter, following a long gallery, one comes across an altar oriented towards the west, rather than the east as is the Christian tradition. The sobriety of the ornamentation stands in stark contrast with the wealth of lessons to be learned from them. Your 2 hour walking tour will also include some information about the world renowned wines of Saint Emilion through the history of the Jurade. When John ‘Lackland’ succeeded his brother, Richard Lionheart, to the throne of England in 1199, he signed the ‘Falaise Charter’ which accorded Saint Emilion the statute of a free and independent commune, with the right to be administered by a mayor, twelve members of the Jurade (the town council) and twelve advisers elected by the town’s notables. These councilmen had vast power that included rendering justice. Wine growing was such an important part of the local economy that they also regulated the manufacturing process and the sale of wine, and even publicly announced the start and the end of the grape harvests.